I had big issues with my Internet connectivity this past week, when my internet cable modem suddenly died. I was able to use a backup connection on my telephony modem but the 1 Mbit/sec up- and download offered by that outlet was not sufficient for the amounts of data I had to upload. So, I was very happy to get a new modem yesterday evening and found that my 200/20 Mbit/sec connection was restored overnight. That allowed me to upload the latest ‘ktown’ package set to the mirror server. KDE 5_16.01 is now available for your enjoyment. These packages are based on the latest KDE releases: Frameworks 5.18.0, Plasma 5.5.3 and Applications 15.12.1. What’s new in KDE 5_16.01? Frameworks 5.18.0 is an enhancement release. See https://www.kde.org/announcements/kde-frameworks-5.18.0.php . The ‘bluez-qt’ package is now finally being built since Slackware switched to BlueZ 5. Bug 356529 was resolved: the very visible “I18N_PLURAL_ARGUMENT_MISSING” error in various places. Plasma 5.5.3 keeps polishing the 5.5 series. See https://www.kde.org/announcements/plasma-5.5.3.php . Now that Slackware contains PulseAudio, I was able to compile and add the ‘plasma-pa’ package which adds a PulseAudio based volume control Plasmoid for your system tray. Slackware also moved to BlueZ 5 (which caused a requirement for PulseAudio in order to fix the broken BlueTooth audio) and therefore another new package is available in the Plasma set: ‘bluedevil’. I have added back the previously removed ‘kde-wallpapers’ and ‘oxygen-fonts’ packages to the “plasma-exta” section (used to be part of Applications) because Plasma 5 was left with just a single ugly wallpaper otherwise and there was a user request for the fonts. The Applications 15.12,1 is a bugfix release. For a full list of changes to applications, read this page. After the previous KDE 5_15.12 the overlooked (and therefore missing) ‘baloo5-widgets’ package was added. Some things to tell about the Plasma 5 dependencies. I upgraded OpenAL again, and rebuilt qt5 and phonon against Slackware’s PulseAudio. There’s a SlackBuild script but no package for “unar” in the repository. Unar is an un-archiver originating from Mac OS-X. The Ark package in KDE Applications can use ‘unar’ to provide RAR view/extraction support, even for the latest RAR formats, but ‘unar’ depends in turn on two pieces of software I did not want to add yet; ‘gnustep-base’ and ‘gnustep-make’. If you really want to have ‘unar’ then download the SBo scripts for these gnustep utilities, build your own packages and then build ‘unar’. Let me know how that went and how big the gnustep packages are. If you want to test the new release in a Live environment, you need to wait just a little bit longer. I am preparing ISO images for the new 0.4.0 (Beta4) release of my Slackware Live Edition. These ISOs are based on the latest Slackware64-current and the PLASMA5 variant contains my KDE-5_16.01 packages. I hope to be able to upload the ISOs during the weekend. 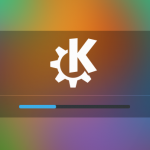 Upgrading to this KDE 5 is not difficult, especially if you already are running KDE 5_15.12. You will have to remove old KDE 4 packages manually. If you do not have KDE 4 installed at all, you will have to install some of Slackware’s own KDE 4 packages manually. Thank you Eric! I’m downloading this now. Seems exciting! hence it is not working any longer since this upgrade. _metic you were probably upgraded from the tigervnc in my repository (which I removed last month) to the tigervnc in Slackware-current’s /extra directory. Slackware’s version of the tigervnc package is dynamically compiled against turbojpeg and fltk whereas my package contained static versions of them. All you have to do is install the “fltk” package in the /extra directory of slackware-current and tigervnc will work again. Eric thank you for your response, and correct , I installed “fltk” and all with back to normal.. Installed the 32 bit binaries over a complete Slackware current installation. Followed the appropriate instructions in the README. Rebooted and then found out that I had to rerun xwmconfig and explicitly choose the plasma option which appears at the bottom of the list. Then startx into the new KDE which looks very nice. Thanks for the effort. Yeah, with baloo in the KDE4 of Slackware-current, there is no more need for nepomuk in Plasma 5. Everyone using slackware-current will have their old nepomuk databases migrated to baloo by now. I will remove nepomuk in the next edition and see what comes of it. Hi!! I’ve just upgraded my current64 to this release but now Plasma5 go in crash! The weird thing is that after the error notification all previously opened apps in the session, starts normally, but I haven’t desktop at all and can launch apps only from my yakuake shell (from were I’ve launched firefox to write this). thanks a lot for all your precious work!! That sounds like a crash in KWin. And the stack trace shows /usr/lib64/libGLX.so.0 as one of the libraries where the crash occurs. What graphics card do you have and did you install any proprietary driver? Yes, I’ve an NVidia GTS450 and have installed the latest beta drivers from site, 361.43 version, because are the only that compiles right with the latest kernel release in current branch. 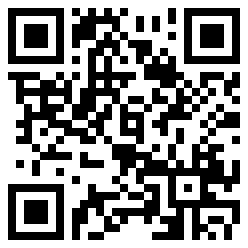 Ok. After your comment I’ve checked better the driver and then have downloaded the latest stable version (352.79). Now Plasma5 starts regularly and , apparently, there aren’t other issues. Thanks a lot !! But if there are have two audio volume on tray icon, like me. Just undock tray kmix on setting, if untick this audio volume on system tray icon can’t set audio volume with keyboard shortcut. Arief JR : I have the same things: two icons. 1st from kmix and 2nd from new plasmoid. Both work for me. I think, that any of icons can be removed. Keyboard shortcuts not working also. So I revert kernel from 4.4 (slackware-current’s kernel) to previous 4.1.15 and shortcuts works again. Waiting for new kernel to try. Drag and drop not working from Dolphin, but works from Konqueror. Any known issues? With shift + right click on dolphin?